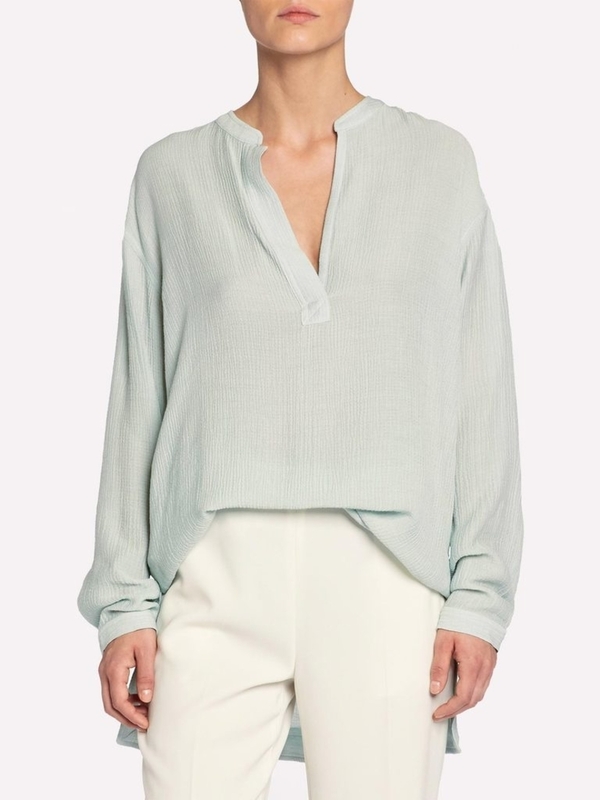 The Addison popover blouse is made in our new crinkle gauze that adds a subtle sheerness for the warmer days. The popover v neckline and easy silhouette offer a free and feminine feel. 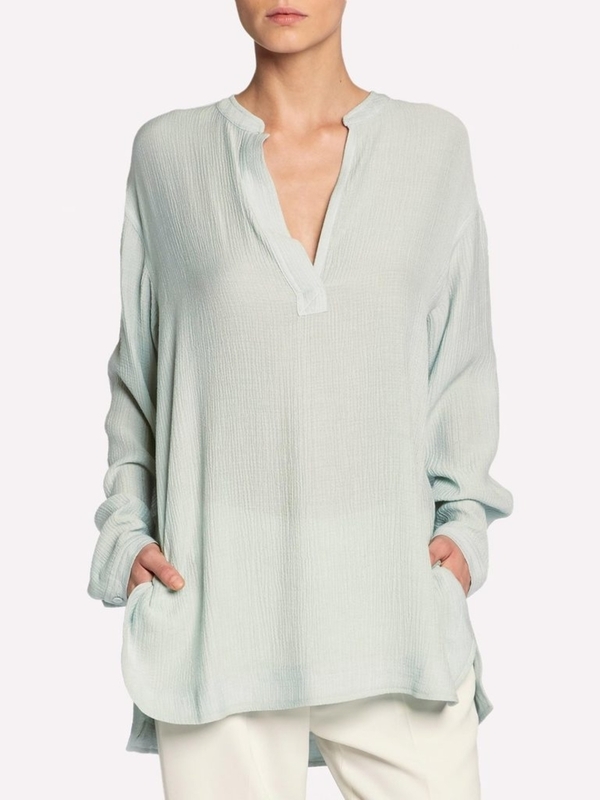 A tunic length with side slits make this versatile to tuck into a pant or layer over a legging.